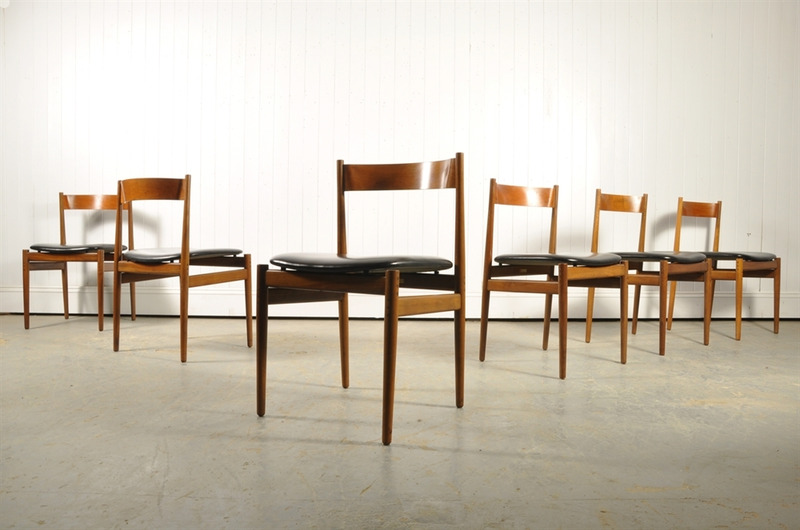 Designed by Gianfranco Frattini for Cassina. 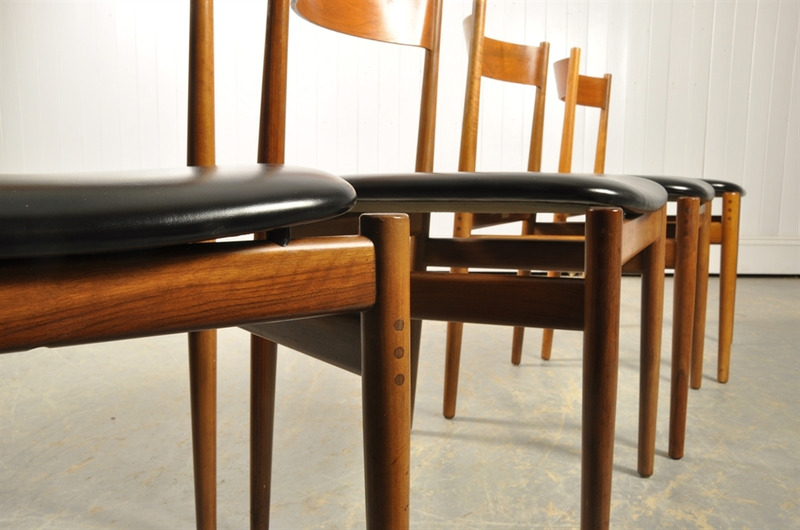 These are classic Midcentury Italian Design. 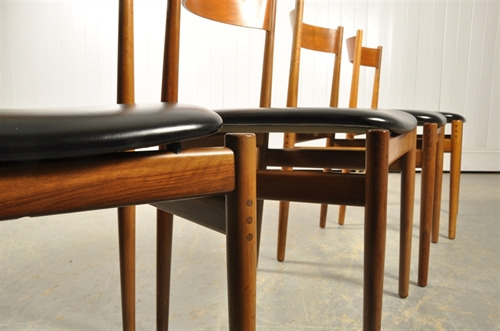 Dinning Chair no 107. 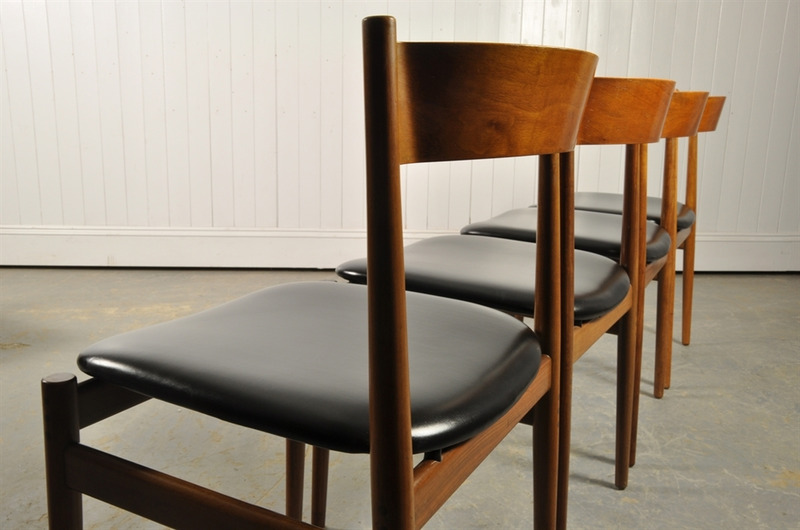 Rosewood and leatherette . 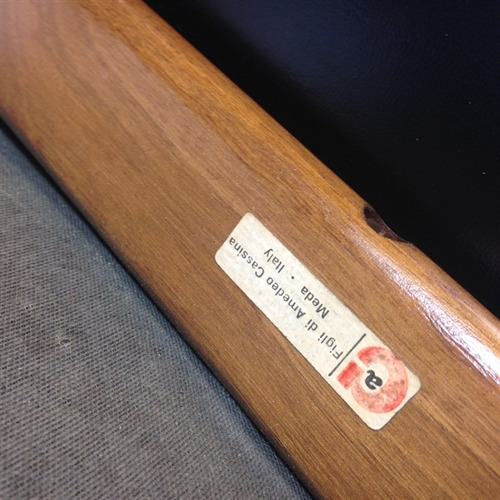 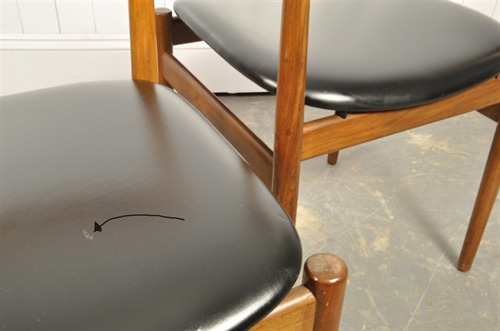 In great structural condition with one small hole in 1 seat as pointed out in the pictures. Some natural patina to the wood. 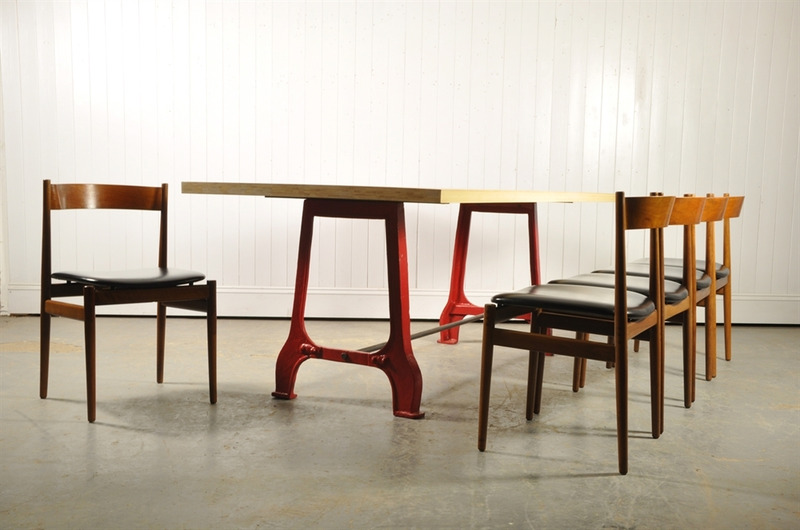 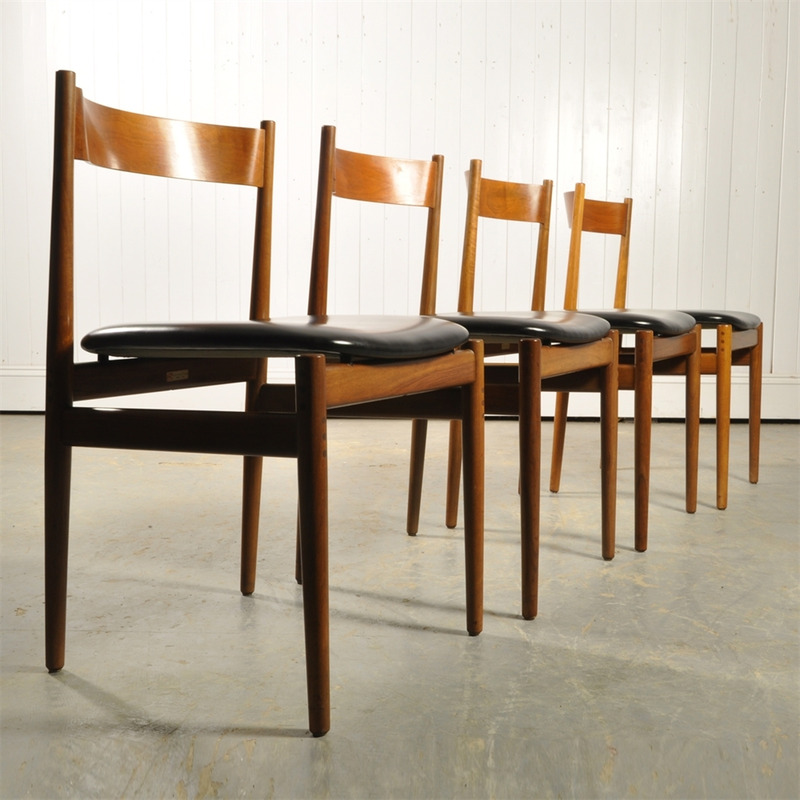 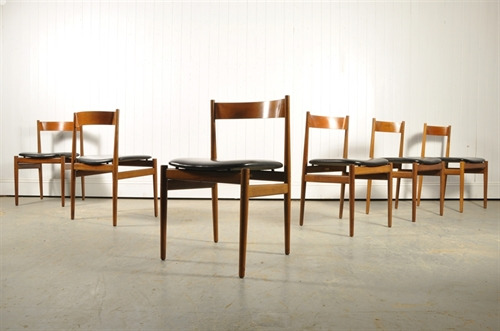 76 cm h ( 44 h to seat ) x 47 w x 48 d.
Sold and priced as a set of six.